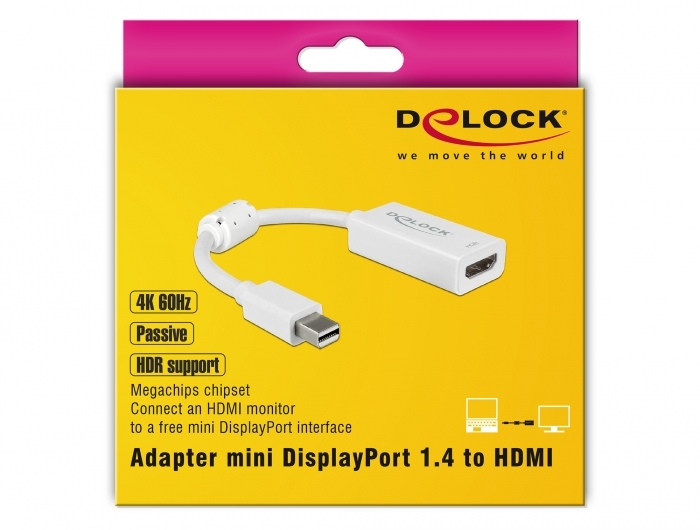 This adapter by Delock enables the connection of an HDMI monitor to the system via a free mini DisplayPort interface. 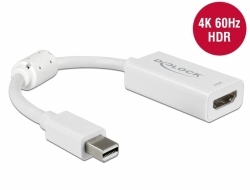 The adapter supports a resolution up to 4K Ultra HD at 60 Hz and is backward compatible to Full-HD 1080p. 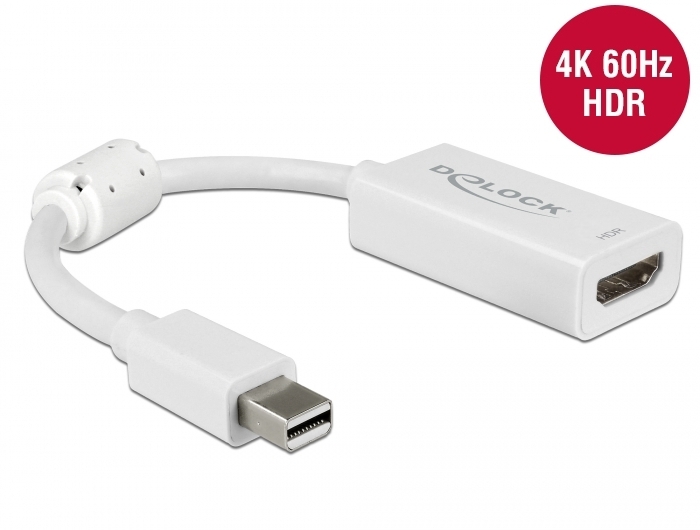 By the support of the HDR (High Dynamic Range) function, the screen can be displayed sharper, clearer and more vivid.